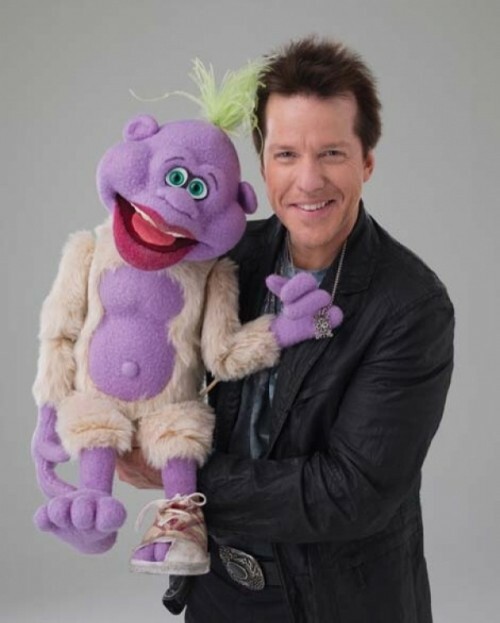 Comedian and ventriloquist Jeff Dunham made a stop in Columbia, SC at the Colonial Life Arena on Sunday afternoon. This was part of his Disorderly Conduct Tour. He was last in Columbia in 2010 for the Identity Crisis Tour. Dunham said the show was going to be half classic material and half new material. Dunham came out and immediately apologized to all of the football fans in the audience. Since the Carolina Panthers were currently playing their playoff game at the same time as his show (It was a rare 3pm start time). He said he was going to serve as the opening act too since it would be “cheaper.” He then spoke about getting to tour around the world and the different cultures he encounters – like how Achmed the Dead Terrorist would go over in Israel for a future tour. The highlight of the monologue had to be when he revealed that the stage humidifiers he requested – the local crew was in charge of this task – were in the form of Hello Kitty and SpongeBob SquarePants. Later on, he slipped in a few innuendo jokes about the “kitty” going dry. A slideshow was featured next with pictures from Dunham’s beginning, family and life on the road. Achmed the Dead Terrorist was up first and was in his usual form. He recited the “12 Days Of Infidels,” which included mentions of Kim Kardashian, Toronto Mayor Rob Ford and New Jersey Governor Chris Christie. A promo featuring the Little Jeff dummy was next. It was an infomercial that quickly turned into a skit. The dummy featured could really be bought from the merchandise table at the show. It was custom designed by Dunham and featured a How-To book and instructional DVD. At one point, Little Jeff jumped off the table and ran around the stage as Dunham chased after him. Throughout the show, it was hard to see Dunham’s mastery of ventriloquism – not moving his lips – so the audience had to rely on the large video screen if they were seated a ways away. Dunham premiered a new character in a disheveled suit who was a shaking caffeine addict, Coffee Guy. Coffee Guy ranted about everything coffee and his love for it. He said he previously worked for Home Depot as the paint shaker and the Richter scale line drawer. A video package brought in the purple-skinned Peanut, who was dressed in Batman inspired garb. Peanut said he wanted to be known as “Batnut.” At one point, Peanut fell off his table. And when Dunham picked him up, Peanut was unable to speak. This segment went on for a few minutes and was the only lull in action the whole night. Peanut was later joined by Jose Jalapeno on a Stick. He was dressed as Robin and said to call him “Reuben.” Peanut and Jose continued their usual banter back-and-forth. To wrap up, Peanut pulled out his Little Jeff ventriloquist dummy and performed a routine mocking Dunham. Dunham would quickly banter between the different characters by switching voices instantaneously. Every time Dunham would do this, the crowd would erupt in applause. Everyone in the building that night appreciated his tremendous talent. Dunham thanked everyone for coming and shot Peanut dolls from his “Peanut Cannon” into the crowd. Despite being pictured in promotional pictures for the show, the redneck dummy, Bubba J, was never brought out by Dunham. Bubba J would have gotten a huge positive crowd reaction since he was in the heart of the South. Dunham has his finger on the pulse of today’s comedy scene. He may not be loved by the critics, but he brings his A-game every time. He can be more edgy since the characters actually “saying” the material. His two-hour show did not disappoint. Dunham is the best player in the game right now. He constantly proves why he is the top – or one of the top – grossing touring comedians in the game.